I had a year end party with previous colleagues. I like this photo because of very Japanese-like. In fact, we had lost our boss to the disease in August. 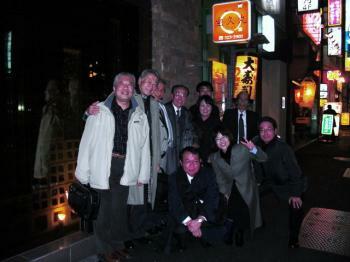 The boss loved drinking with us very much so we arranged this izakaya party for remembering him. Copyright © Toko　est contente All Rights Reserved.